The foot tapping Electro genre has today without doubt become the ‘it’ genre of the times. The VIPZONE Electro Leads Multisamples has been put together with a variety of custom built programs containing hardware synthesizers. One of the biggest challenges faced by Electro music producers is finding quality multisamples that would help them in creating superior music with satisfactory arbitrary sequences. VIPZONE SAMPLES has produced the perfect solution with their Electro leads Multisamples which is identified as one of the best professional multisamples that has been created to date. Flexible creation relating to any sequence, melody is optimized in this multisamples pack and the news will be music in the ears of any commercial music producer. The electro leads contains highly advanced hardware synthesizers in its multisamples pack along with a combination of vintage analogues synthesizers and many other high tech programs. Fulfilling one’s dream in producing coarse sounding, dynamic synthetic lines are no longer an issue with this multisamples pack and once you mix them with the right kind of song you are guaranteed of getting even the most dance resistant crowd out on to the dance floor and getting the party feel in to every nook and corner. 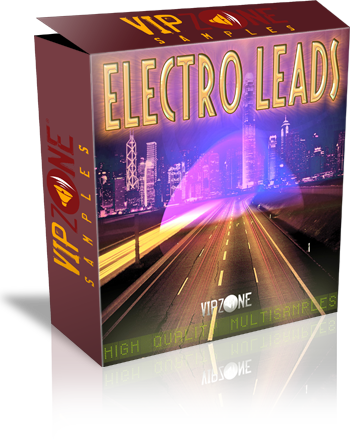 The VIPZONE electro leads multisamples has been produced with an optimized vision of becoming instant chart busters. The format that has gone in to the Electro Leads is SF2 multisamples plus additional refills. They are ripped key after key including at least five octaves for providing maximum quality in expressive and proper order. The multisamples also allow for total flexibility in use of instruments. With electro leads multisamples the flexibility is allowed for producing both bass and soprano with its WAV loops integrated in to the pack. Benefits are abundant in this value added pack with some samples providing optimum lead lines and quality rich electro harmonic lines. Produced by expert music technicians in the field who have professionalized the art of Electro music over the years, the Electro Leads multisamples is perfect for creating professional synthetic lines with perfect sequences and melodies. The multisamples pack is guaranteed to be a sure fire winner among all generations of music lovers. 36 powerful electro lead multisamples in SF2 format + additional reason refill.